An encouragingly young audience on Monday night at the Walnut Hill School in Natick was witness to an exceptional all-Brahms recital by pianist Meng-Chieh Liu presented by the Foundation for Chinese Performing Arts. Liu projected calmness and serenity even as he walked on stage, bowed, and set himself at the piano. This was to be an evening requiring a rapt, silent audience. And despite a coughing fit to accompany the opening, and an extremely young audience, Liu received our full attention. Not through command or solicitation, but a more gentle “welcome and listen, if it pleases you to do so.” It did please us to do so. The program opened with the Op. 76 set of four capriccios and intermezzos. (Honestly, I can’t decipher what makes an intermezzo mezzo and a capriccio capricious. It seems somewhat arbitrary; these titles tell very little about structure or character. I thought perhaps intermezzos might only appear between other pieces, but that’s not the case in his last three sets of character pieces, Op. 117, 118, and 119). But the character of the works played in sequence as a set reflects much of Brahms’s general character, and Liu’s as well. The choice of repertoire seemed perfectly suited to the nature of this pianist, and to his abilities. Brahms’s rich textures and dark sonorities were projected but never forced, always clear, harmonies and textures balanced. Melodies were singing, from pianissimo to forte, from noble and angry to appropriately sentimental and sweet. Brahms’s hemiolas unfolded with logic and grace, giving rhythmic complexity to the texture, sometimes adding drive, sometimes providing just a braking force. But most special about this performance was the articulation (that word sounds cold here) of so many inner lines (inner voices), expressed with the wonder of appreciation for what Brahms had been able to compose. The 3rd piece (Intermezzo in A flat Major) was especially subdued, introspective. The fourth (Intermezzo in B flat Major), in a word, tender. There had been careful use of the una corda pedal up to this point, but here we almost reach a forte. But not really. That came only in the 5th piece (Capriccio in C sharp minor). With more volume and power, Liu still projected introspection, if you’ll forgive the contradiction in terms. Another contradiction: The 6th piece (Intermezzo in A Major) was played muted, tamped down, but each note still clear, the melodies ringing. Looking back, in the 2nd piece of the set (Capriccio in b minor), the most well known of this set and a bouncy work with staccato stops and starts, an occasional note trailed or dropped off, part of the risk taking of rendering it with an almost delicate nuance. Here, I missed a little mischievousness, or even orneriness, that can come with the colliding 16th notes (bar 83) and all that chromatic inner working of line as the piece winds down. But I suspect Liu is not of a mischievous nature, or much of a frivolous one. Hardly a loss, here, in lieu of what we get instead. In the final piece of the set (Capriccio in C Major), he let loose. More “hidden” lines were exposed, like nerves. This was romantic music—dark, sad, and singing—but with a proper Brahmsian restraint. We were lulled into a Brahms-Liu state of mind, ready for more. After the relatively mature complete set of op. 76, we heard the set of four works in op. 119, the last set of solo character pieces for piano by the composer: Intermezzo in B minor (Adagio), Intermezzo in E minor (Andantino un poco agitato), Intermezzo in C major (Grazioso e giocoso), and Rhapsody in E-flat major (Allegro risoluto). … this particular serious, modest musician was, in his early 20s in the mid-1990s, well into a stellar career when it was brutally interrupted by a three-year ordeal of vasculitis (near-mortal debilitation and including cardiac arrests, chemotherapy, weight loss to 90 pounds, hand tendon surgeries with titanium nail implant, 100%-certain predictions of never playing again, grueling rehab). There was much rubato in Op. 119, No. 1, and a poignant lyricism. Throughout the short set, there was an emphasis on showing the interior chromaticism of the works while making the outer architecture fully apparent. In other words, he never got lost in detail. There was more wonderful voicing to project inner lines, and subtly controlled pianissimos. The middle section of the E minor intermezzo, a little lullaby in E Major, was delicate and lovely, as if full of joyful memories, in contrast to most of the pensive, more melancholy music of the night, or at least of the first half. The Rhapsody was perhaps the weakest piece on the program, but only by comparison. 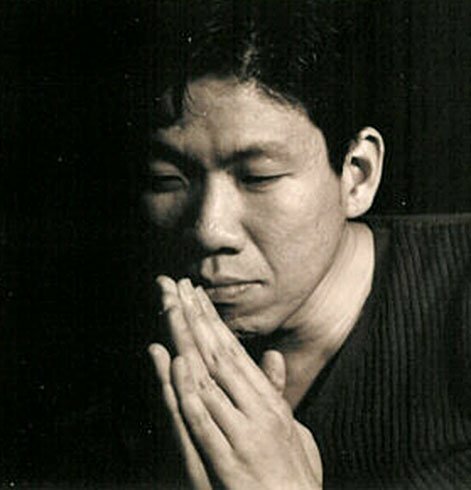 Sometimes Liu let up on the intensity with the repeated accented octaves and chords that frame the work, giving the effect of losing the march-like rhythmic precision. A brash, proud, in-your-face kind of piece (in places), the work might be less suited to the nature of this artist. I must also confess, I find the opening (and return of the opening) to be a bit much, though I marvel at how Brahms built the work around the opening material, and incorporated a sprightly lyrical dance section within, a section that Liu played with as much lilt and charm as one could imagine. Brahms’s ballades are arranged in two pairs of two, the members of each pair being in parallel keys. The first ballade was inspired by a Scottish poem “Edward” found in a collection Stimmen der Völker in ihren Liedern compiled by Johann Gottfried Herder… Its open fifths, octaves, and simple triadic harmonies are supposed to evoke the sense of a mythological past. The first ballade turned out to be an excellent segue from the last work of Op. 119, written nearly four decades later. Here, there was a bit of the same challenge in maintaining a perfect rhythmic continuity as in the Op. 119 Rhapsody. The 2nd ballade proved to be an ideal work for Liu to project his inner expressions, and he walked a tightrope in playing the middle triplet section with almost no pedal support. Risky, but it worked. In the 3rd ballade, he made us aware of the power of silence. In the 4th, there was an interplay of melodies between hands, with Liu playing the left hand slightly more insistent than the right, sotto voce, to great effect. These four works, about five minutes each in duration, continued in much the same mood vein as the earlier two sets, all four works soulfully rendered, with a long silence after the last sounds dissipated before applause. The program concluded with the more often performed Variations and Fugue on a Theme by Handel, Op. 24, also an early work, but one the composer recognized as one of his greatest. With the opening theme (aria), a literal transcription from Handel’s Harpsichord Suite No. 1 in B-flat Major HWV 434, we were transported back centuries. It’s hard to imagine a more Baroque rendering, short of substituting a harpsichord for a Steinway concert grand. Everything seemed at once brighter. Already in the first variation a stretching of melodic line that worked to span two centuries back forward, with much grace and charm. A lyrical 2nd variation with inner voices once more brought forward, a tiptoeing lilt in the 3rd variation. So much contrast already. This would be the story of Liu’s set of variations, one of near hyper-variation in the character of each variation, all grounded by theme and harmony. A really fantastic and vivid conception of the work, leading to a powerful, driven fugue. And ovation. Liu unwound us with a single encore, a tender rendition of Brahms’ Waltz in A-flat, Op. 39. A colleague on the way out said she would like to see Liu play a recital in silk pajamas. I think she was referencing an old film classic, but I’m sure there was more to it than that. I had written in my notes: This is one pianist I would want to hear playing, in my home, just before I go to bed and dream.